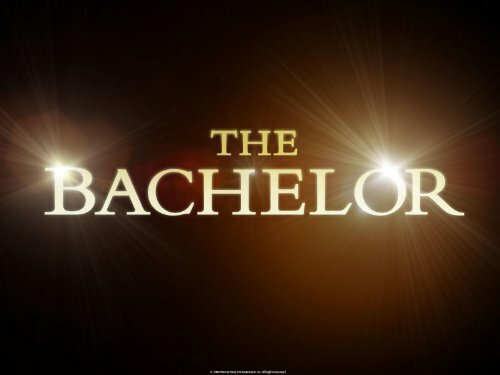 Quick Take: The Bachelor (Sean Lowe), "Week 5"
Review: The Bachelor (Sean Lowe), "Week 5"
(S1705) It was double the drama this week as ABC decided to run two episodes of The Bachelor. We’ll start with night one as Sean and the ladies headed off to Whitefish, Montana and we got to see the outdoorsy side of the women. Lindsay got the first one on one date this week, complete with a helicopter ride over Glacier National Park and a picnic at Blackfeet Indian Reservation. Their date consisted of kissing, dull conversation and more kissing. I sure hope that they talk about different stuff either off camera or in the footage that doesn’t get shown. I can only take so much of the ‘I like you’, ‘yeah? I like you too’ conversation. They move onto dinner where Lindsay tells Sean about growing up with an Army dad and moving around a lot. Sean loves the fact that she wants to settle down and he ends up giving her the rose. They move their date to town where Sarah Darling puts on a concert for them. Date number two is a group date with Selma, Sarah, Ashlee, Lesley, Catherine, Daniella, Robyn and Desiree. When the date card gets read, it is Jackie and Tierra who are left to go on the dreaded two on one date. Jackie looks nervous, but Tierra acts like she already has it in the bag. On the group date, Chris Harrison greets the women and tells them they are going to take part in the Bachelor Montana Wilderness Relay Race. The race consists of two teams of four that will have to race in a canoe, move some bales of hay, saw through a 12-inch log, milk a goat and then drink the milk. Ashlee, Catherine, Daniella and Lesley are on the blue team and they start out strong as Selma and Robyn have a hard time in their canoe for the red team. Desiree and Sarah make up time for red as the blue team’s hay falls apart. Red prevails and gets the win after Desiree chugs the goat’s milk. At the party afterwards, Sean feels bad and decides to invite the blue team. When he tells the other four ladies, they are not happy. I am 50/50 on this situation. We are talking about Sean’s life here, so if he wants to spend time with all the women to figure stuff out, he should. On the other hand, the red team did win fair and square so they should get the party. To make matters worse, Daniella ends up getting the date rose, even though she wasn’t supposed to be there. Back at the hotel, Tierra is not happy when the other girls from the blue team get invited back to where Sean is at, so she decides to leave to find him. Tierra says it’s bold of her to do, but I kind of doubt that. It seems that this may not be the first time she has stalked a guy. While Sean is talking to a producer, Tierra sneaks up on him. Sean asks her what she is doing there and she complains to him about the two on one, thinking that she deserves more. Sean of course reassures her and kisses her. She gloats to the camera that she has an advantage over Jackie now. Time for the two on one date, which the trio head to a ranch for and it is awkward from start to finish. Jackie thinks she can handle the situation, but it doesn’t go well for her. When Jackie gets one on one time with Sean, she talks bad about Tierra. It should really make Sean wonder since this isn’t the first time he has heard the complaints. After Sean has time with Tierra, he gives her the rose and sends Jackie home. Sean does tell her that it hasn’t been easy. They enjoy fireworks together afterward and Tierra’s gloating to the camera comes complete with a maniacal laugh. At the rose ceremony, the girls are tired of Tierra and confront her. Robyn asks why Tierra talks to the girls only when Sean is around or when the cameras are on and Lesley asks her why she won’t answer them when they try to engage in conversation with her. Tierra goes off on them and tells them that she doesn’t care what people think and she could go get engaged to any man she wanted. Sean walks through the room as Tierra is unleashing more fury onto Robyn. He confronts Tierra and she plays victim saying the other girls are attacking her. He goes to Lesley afterward and asks her to give him proof of what Tierra has done. She tells him how Tierra is not a nice person and doesn’t engage with the other girls. Lesley doesn’t even tell him about the engagement comment from Tierra and it makes me wonder why. She had the ammo, why didn’t she pull the trigger? When Sean sits down with Chris, he admits it was a tough week for him. After all the drama, it is Robyn who goes home with Selma, Catherine, Sarah, Desiree, Ashlee and Lesley getting the roses along with Tierra, Daniella and Lindsay. There definitely is not a lack of drama this season and it comes in the form of Tierra. I just hope that Sean has enough sense in him to send her home before the hometown dates. Erin is an avid tv watcher; Castle, The Office, Fringe, Once Upon a Time, Vampire Diaries, Cougar Town and Game of Thrones among her favorites. She also likes to go to the movies, write, try new places to eat at and travel to new destinations. Follow her on Twitter @erninlow. It is finally September and new seasons of shows are just around the corner. Marvel’s Agents of S.H.I.E.L.D, “Pilot”: Agent Coulson lives! Marvel tries to go from big screen success to little screen success with Agents of S.H.I.E.L.D. Hey you aren't logged in, login or enter your info below. Don't have an account? Get one here. Mad Men Season Five: 28 things that tripped me out about "A Little Kiss"
Parks and Recreation: why is everyone so mean to Jerry? It's funny because its so not funny.